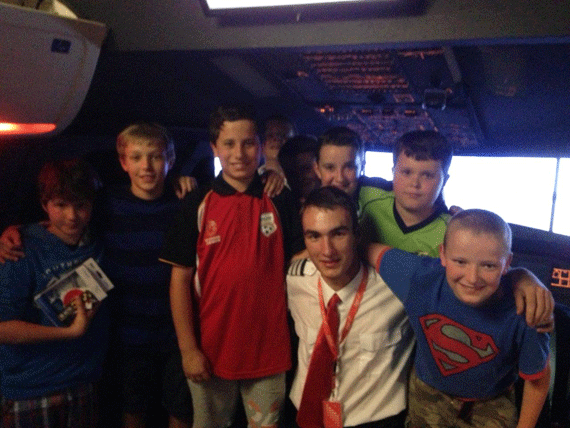 This year, I celebrated my 12th birthday with a group of friends at I-Pilot. All together, there were 8 of us. When we arrived at the I-Pilot venue, they quickly provided us with drinks to keep us comfortable while we were waiting to go into the simulator. The lobby was well decorated with Boeing and Airbus plane models and lots of Boeing merchandise like for example, caps, plane-models and other children’s toys. 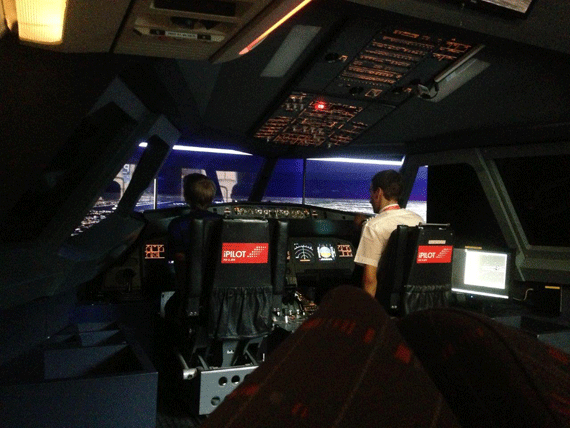 In the simulator, the cabin was decorated as if it was in a real airplane. 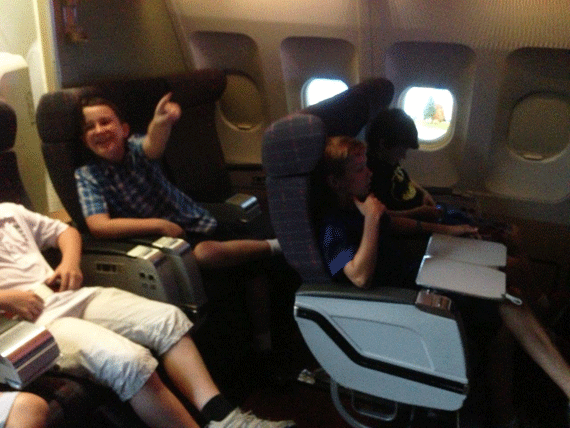 The cabin included 12 airline seats, a top storage compartment and even a flight attendant cabin announcement microphone. The training pilot was friendly and always helpful. The programme included a take-off and landing at any airport world-wide with a state-of-the-art cabin, which is the same as on a normal Airbus A-320 airplane. The most interesting airports that they had to offer included London Heathrow, Paris Charles de Gaulle, Prague Vaclav Havel Airport and even Pyongyang International Airport. 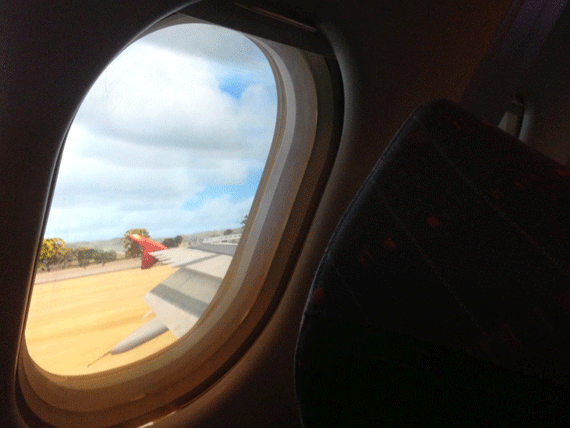 At the famous airports, like London Heathrow, it shows the landmarks of the city during landing and take-off. The whole experience took 2 hours but felt like a life-time. Everyone had a good time and I reckon, that it is one of the best ways to spend your birthday in Prague. 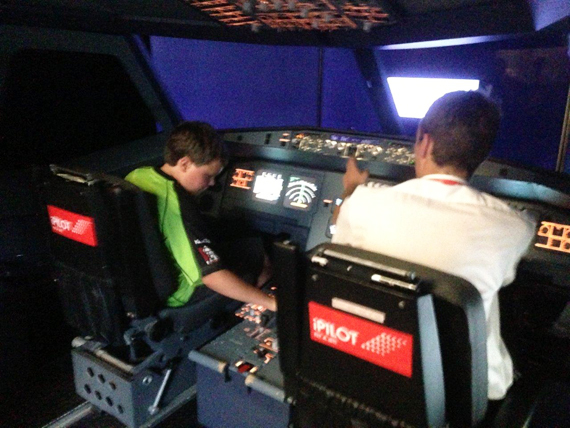 RECOMMENDED AGE: Minimum age to pilot the simulator is 6 years - there is no maximum age! DIRECTIONS: By Tram: Take tram numbers 6, 9, 12 or 20 to tram stop Ujezd or 12, 20 or 22 to Hellichova. By Metro: Closest metro is A line to Malostranska or C line to Andel, then take the 12, 20 or 22 to Hellichova. By Car: If you need to drive then try for a spot in the direction of Andel, this area (Prague 5) has no parking restrictions.